Indonesia is the Muslim populated Country, best place to take a rest from work burden and vacations. Travel Mate proudly announce the the Indonesia tour packages from Karachi.Fly with the Travel Mate’s amazing Indonesia tour packages and give some peace and relax to your mind with the mesmerizing beauty of Indonesia. Our Indonesia Tour package from Karachi offers the visit to some famous resorts and temple of this island along with luxury accommodation. 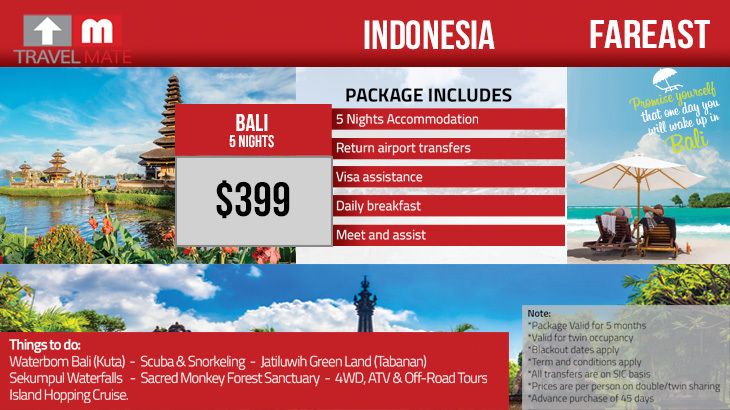 Bali Indonesia tour package with 3 night accommodation, bed & breakfast, return airport transfers. 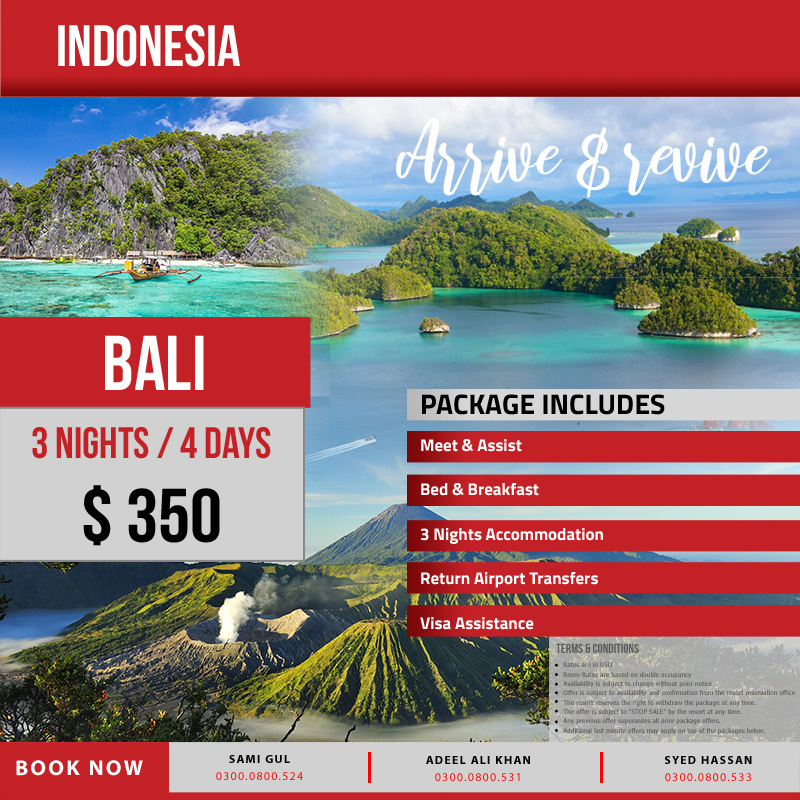 Indonesia tour packages with 5 Nights Accommodation in Bali, Things to do Waterbom Bali (Kuta) – Scuba & Snorkeling – Jatiluwih Green Land (Tabanan) Sekumpul Waterfalls.